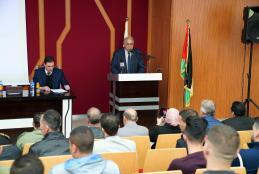 The University Organizes a Conference About "the Role of the National Movement in the 48 Palestinian Territories to Strengthen the Palestinian National Identity"
Arab American University organized a conference entitled "The role of the national movement in the 48 Palestinian Territories to strengthen the Palestinian national identity" sponsored by the University President Prof. Ali Zidan Abu Zuhri. As it highlights the important role played by the Palestinians in the 48 territories to maintain the national identity and to remain on their lands. In the presence of the governor of Jenin Governorate MG Akram Rajoub, and President of Joint Arab Establishment Mr. Ayman Odeh; Minister of Local Government Dr.
Arab American University’s President Prof. Ali Zidan Abu Zuhri, and Prof. Dr. Imad Abu Kishk, President of Al Quds University, participated in the regional conference organized in the Arab Republic of Egypt entitled "Education in the Arab World in the Third Millennium". 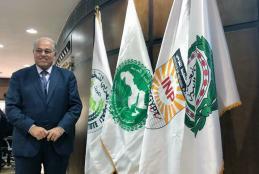 The conference was organized by the Arab Planning Institute in Kuwait in cooperation with the League of Arab States along with the National Planning Institute of Egypt and Arab League Educational Cultural and Scientific Organization “ALECSO”. The conference aimed to discuss the most important problems and challenges facing the educational system in the Arab countries, and supporting education reform and improving its outputs.